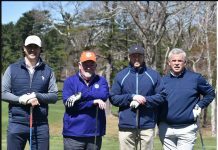 The MGA Four-Ball Championship, the Massachusetts Golf Association’s first big tournament of the season, tees off on Tuesday, May 9th, in Haverhill. The two-man team championship will be played at the Haverhill Country Club and the Renaissance. 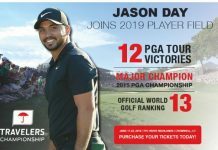 Eligibility: Two-person teams of amateur golfers who have an active MGA/GHIN Handicap Index at a MGA member course with a combined Handicap Index not exceeding 6.0. Playoffs: Any tie for first place will be decided immediately by a sudden death playoff at Haverhill CC. Prizes: The Four-Ball Trophy will be presented to the Champions. Gold medals will also be awarded. Merchandise certificates will be awarded and are only redeemable at the host site(s).